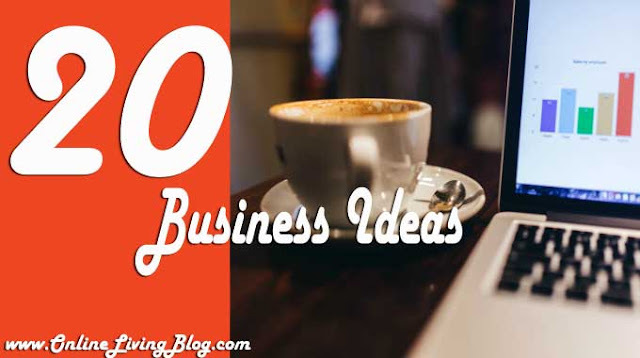 Here are 20 business ideas to start with little or no money. This is one of the lucrative ventures that anyone with the aim of making killing profits can think of; reason being that the world is increasingly embracing fashion. As someone into bead or jewellery making, you can sell your products on different marketing platforms such as gift shops, clothes boutique and E-commerce shops like OLX, Facebook shopify, jumia, Konga etc. You can also sell directly to jewellery outlets. It is very possible to start this business with a limited capital of about N10k to N30k if you have mastered the act. This can be a good source of income and means of earning a living. You don’t need alicense to start a painting enterprise; all you need is to have your apprenticeship training and experience, and some basic minimum equipment like roller, 3 or 4 inches brush and a masking tape. With this you can start making good cash. Are you gifted with any special skill? Do you love or know enough about subject to advice others? With that special skill in your possession you can make a reasonable amount of cash and smile to the bank. You don’t really require capital to start up your consulting services; you can use a spare room in your apartment as an office. With some of the contacts on your phone, email address and referrals from family and friends, you are good to go. Do you have knowledge about soap making but always think it is difficult and capital intensive to carry out? The truth is that soap making is simple but requires just your time and patience. Again, know it that people value homemade product. You can easily sell them through local gift shops and online marketing platform. You can agree with me that this business generates enough income. Irrespective of how bad the economy might be, food will still maintain its position as the number one basic necessity of life before clothing and any other thing. If you can do this right, this is one of the surest way to walking out of your financial mess. This is a promising enterprise that pays well. If you play your card well, certain types of business firms will pay you to promote their products and encourage their sales volume. You can check out affiliate marketing programs such as Linkshare, ShareASale, Amazon Associates and Commission Junction if you are interested in this business. This business might sound clumsy but it pays. Searching your garage and shed might be all you need to start this business. One advantage of this business is that you can easily find these materials both in urban and rural areas. Thanks to technology, you can find all the advice you need concerning this business on online. As we all know, every guy has one or more clothes for either laundry or ironing. Many of the working class individuals do not have time attending to this; this is where you come and make your cash by rendering a professional laundry service. All you need for a start is a small capital of about N30K to N100K. You can use your apartment as office for the time been. This service is popular and is quite lucrative because every lady wants to look good and smart. When you already have the apprenticeship training and experience, with loads of female friends, you probably have gathered a lot prospect that will come for your service and you make your cash. As a male hairstylist, you will have high patronage as most girls love it when guys make their hairs. Do you love cooking as a guy? If yes, that your hobby can be turned into a business that will start fetching you some cash. This business works well for those that plan well and can fit perfectly into weekend. This implies that you can actually offer your home catering services together with your other business. It is also perfect for those trying to build businesses outside of normal working hour. Are you an audiophile? Having a great sound system and a large music collections is what you need to hire yourself out as a DJ for various receptions and events. In addition to earning your cash, you’re equally having a nice time. It might surprise you to know that a plantain chips are probably the second fastest moving consumer goods in Nigeria after bottle water and sachet water. But this business doesn’t require much capital as you can start with a bunch of plantain. It is equally not as difficult as many might think. Are you well skilled at woodwork? If your answer is yes, then you can start making money from it. You can actually go into the business of making deck furniture and others. You only need few equipment such as; a drill, a saw, a sander, a hammer and most importantly passion for working with wood and some creativity. In addition to creating new furniture, you can also repair existing wooden furniture or woodwork. With strong exceptional English skills, you have probably landed yourself the opportunity to work as a proof-reader from home. Both publishing houses and independent writers seek the service of a proof-reader which most of them prefers part-time service due their inability to pay on monthly basis. Seek out those that might be interested in your service and advertise directly to them. With the epileptic power supply in the country, those involved in the production of candle sticks are making good sales and profits. It might interest you to know that many people in Nigeria still depend on candle to battle the erratic power supply in the country. The beauty of this business is that you don’t require much capital for a start. You can get a candle mould of about N10K which has the capacity of producing 16 candle sticks at a time and can run for 50 times a day. When you do your calculation, you will be having a total of 800 candle sticks per day. You can start with about N25K to N40K and then grow. Are you fascinated by interior design? Do you have good collections of interior design materials around you? Many house owners will be happy to hire you to design their buildings for them and they are ever ready to pay for the services rendered. Referrals will definitely come your way if you do it right. All you need to succeed in this business is a good marketing skill and creativity. Though, you might know that it cost a lot to draft out a business proposal for a client. This service pays very well, so if you good at drafting compelling, yet realistic business plans/proposal, you can start writing for people and getting paid at last. Let it be narrative and make the financial statement catchy. You don’t need huge capital for this and thank God for Google in terms of research. With the advancement in technology and the availability of many tools in the market to perform different operations such as editing, printing, styling and software like Photoshop, prior experience and formal training might not be needed for this kind of business. All you require is good camera and a printing device. Look out for an area to specialise (whether is wedding or social functions) and smile to the bank. This is a lucrative business that you can start with 10000+ and make your profit on each sale made. Once you have good marketing skills, you are good to go. You can sit in your house order items like computer and accessories, house hold materials, CDs and mp3, phone and accessories, the list is inexhaustible. All you need is a laptop, internet service, and little knowledge about mini importation which you can get online and excellent marketing skill to sell the goods you import. In Nigeria, tailoring is a skill that blossoms and guarantees stable returns to those that possess the skill. The income generation of this skill is dependent on your expertise, location, period or season of the year and your ability to negotiate with clients. You can start with as little as N30K to N100K if you already have this skill. These are just few of the numerous business ideas you can start with little or no capital. The list is inexhaustible. So choose one or more of these business ideas and start your journey into financial freedom. As you embark on this journey of financial freedom, remember you can only be limited by your imagination and skillset. Don’t ever be afraid of being creative, and don’t allow anyone to demoralise you with this word “are you sure you can succeed”. Keep the fire burning in your journey of financial freedom as unexpected success might be around the corner.